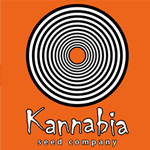 Kannabia Seeds - Kiss. Free US delivery. A much-prized variety in the UK. Owing to reports of the great demand and success received from the British market, we decided to set to work studying and producing this seed. It?s a plant that adapts very well to the Spanish climate, with its key plus point being its flavour. Kissis synonymous with good, flavoursome marihuana. It is yet to be confirmed, but its relatives are believed to include Northern Light and Skunk. We obtained the original clone of the variety from some English travellers who settled in the Alpujarra mountains of Granada in the 1990s. 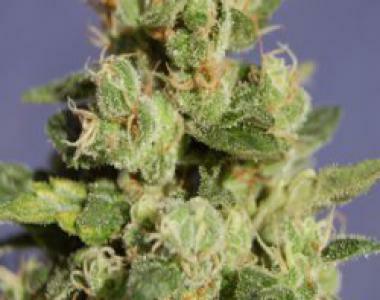 According to them it was a clone of a mother, selected from standard Skunk seeds for its intense aroma and cheese flavour, as well as its fast-flowering characteristics. It wasn?t a particularly high-yield plant, but by crossing it the variety with our Mazar-i-Sharif the yield improved greatly, producing large, dense bunches of flowers. We crossed the resulting hybrid back again with our original Kiss, giving rise to Kiss, a predominantly indica hybrid but having recovered the Skunk structure. In a good-sized pot (5-7 litres) it can grow up to 90 cm indoors and taller than 2 m outdoors. Indoors it adapts well to hydroponic systems, where it can complete the flowering cycle after only seven weeks with a 12-hour photoperiod, although most plants will be ripe and ready to be cut after eight weeks. Outdoors, the plant may not be fully ready until the first week in October. It produces a dense coating of resin that will already be visible to the naked eye by the first stages of flowering. A delicious hash can be extracted very easily. Its short internodes extend during the flowering cycle to produce gorgeous, high-quality buds, gleaming with resin. It is worth taking care over how this plant is fed, because it is very sensitive to over-fertilisation and you don't want to be responsible for spoiling its amazing mature-cheese flavour. Make sure you wash the roots well during the final week to preserve all the flavour. The Kiss variety is recommended for all growers, because as long as you're careful not to over-fertilise, you'll be assured an abundant harvest with a fairly fast flowering time.